Female hair loss is usually given the term "wide part". Hair recedes from a central region, moving outward. Hairline recession usually occurs less in women than men. Typically, women are unaware if their hair thinning is permanent or temporary. Extreme events responsible for possible thinning include illness, severe stress, or pregnancy in women. True hair loss occurs when hair growth halts, or hair shedding exceeds 125 hairs per day. Genetically, baldness is inherited from either side of the family. Women usually lose hair through Pattern 4 or Pattern 2. Initially, Pattern 4 was classified as Ludwig`s pattern hair loss. Pattern 4 is treatable with hair transplants, usually requiring multiple sessions (approx 2-3). Women display a positive response to transplants demonstrating a candidness to the procedure, despite being ignored by many clinics. Post face-lift women usually require a hair transplant. Another innovative technique allows for eyebrow and eyelash transplantation. Genetically, women possess high hairlines. 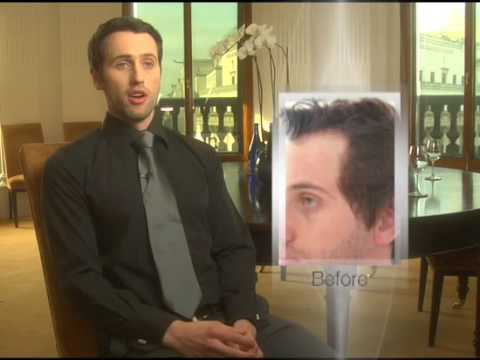 Maximus FUE Vitruvian Design method ideally appeals to women's hair loss and hairline work. We incorporate important hair restoration techniques for women like natural hairlines, maximum density, and temple angle closure.